This volume of ourOrthopaedic Surgery Essentials Seriespresents all the information residents need during orthopaedic oncology rotations and the essential basic science needed for board preparation, clinical practice, and orthopaedic research, including molecular and cellular biology, growth and development, the genetic basis of musculoskeletal disorders, biomaterials and biologic response to orthopaedic implants, and neoplastic disorders. The book can easily be read cover to cover during a rotation or used for rapid review before boards or quick reference in clinical practice. 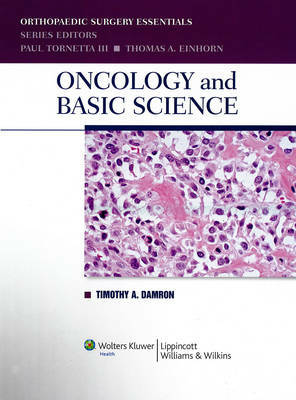 The user-friendly, visually stimulating format features numerous tables and ample illustrations, including color plates showing tumor histopathology.